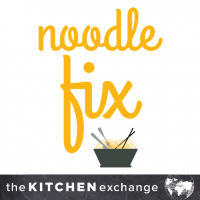 The Kitchen Exchange is a rotating restaurant concept, featuring a new cuisine each semester. It’s also one of Canada’s first Gluten Free dedicated concepts, meaning every dish served contains no gluten! As the name suggests, the Noodle Fix features globally-inspired noodle dishes. To warm up for winter, we have three options of Pho including Chicken, Beef, and Vegetable as well as a Beef Noodle Salad & Fresh Spring Rolls. This new menu is Gluten Free Dedicated, and offers both Vegan and Halal choices. It will be available for the entire winter semester, so make sure to stop by and give it a try!